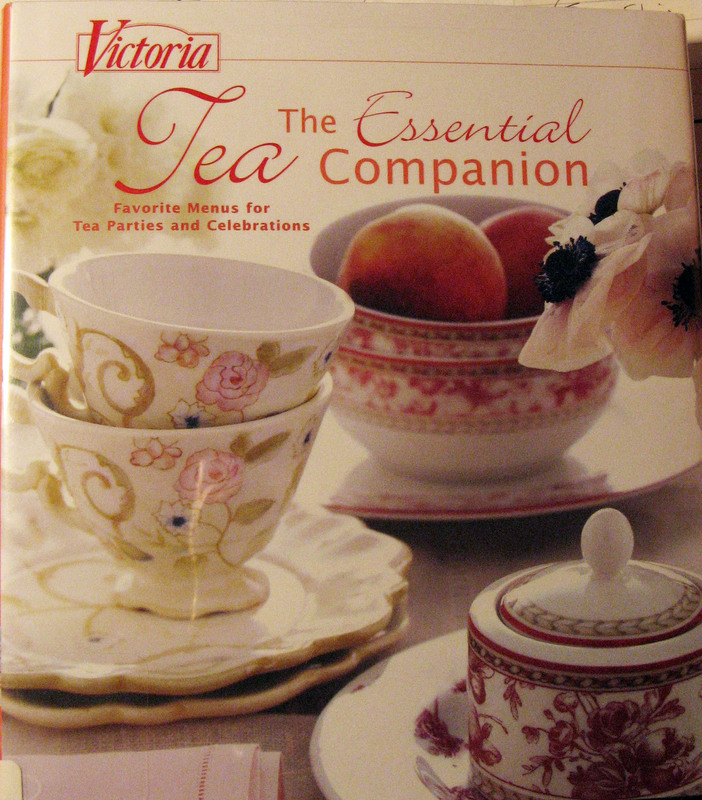 The Essential Tea Companion is a gorgeous little book published by the makers of Victoria Magazine. It is exactly the kind of book you want to flip through and think thoughts of spring, tea, and friendship. Photos grace each page spread and give you a feast for your eyes while at the same time telling you how to create an edible feast for yourself and your friends. The book is divided into five sections: Getting Acquainted with Tea, Making Time for Tea, Tea and Special Occasions, More Delightful Recipes for Tea and Treats, and Resources. Sprinkled throughout the book are the recipes, which include: Raisin and Nut Scones, Tomato and Goat Cheese Sandwiches, Poppy Seed Jam Tarts, Honey Tea Sandwiches, Butter Sponge Cake, Rose Petal Scones, and Lemon Thyme Bread to name just a few. I chose to try the Cucumber Sandwiches with Mint Butter. The recipe seemed a perfect thing to serve in spring and I couldn't help but add a bit of lemon zest to the mint butter since lemon pepper is one of my favorite companions to cucumbers. The result was very refreshing. In a small bowl, combine butter, mint and lemon zest along with the pepper if you are using that. Spread the mint butter on the bread slices. 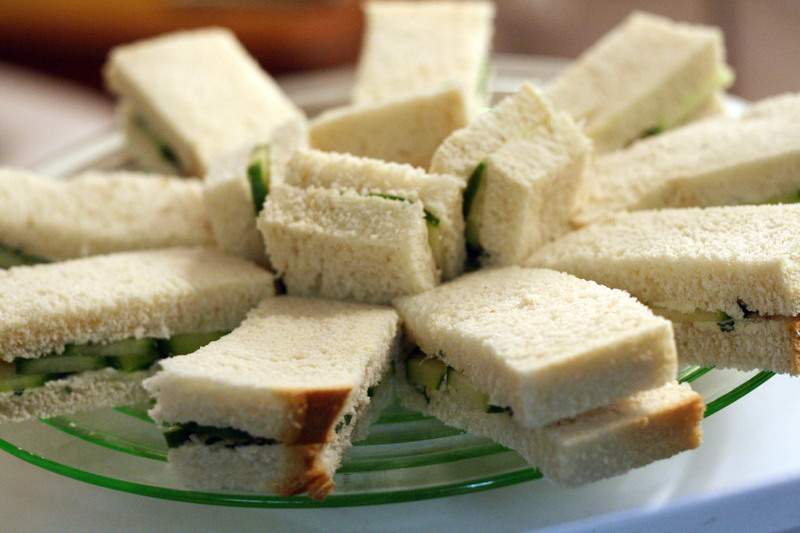 Lay the cucumbers on four of the slices and top with the remaining bread to make four sandwiches. Cut in half diagonally and then in half again. Or, cut into three long rectangles. Just before serving, garnish the sandwiches with burnet sprigs and olives, if desired.